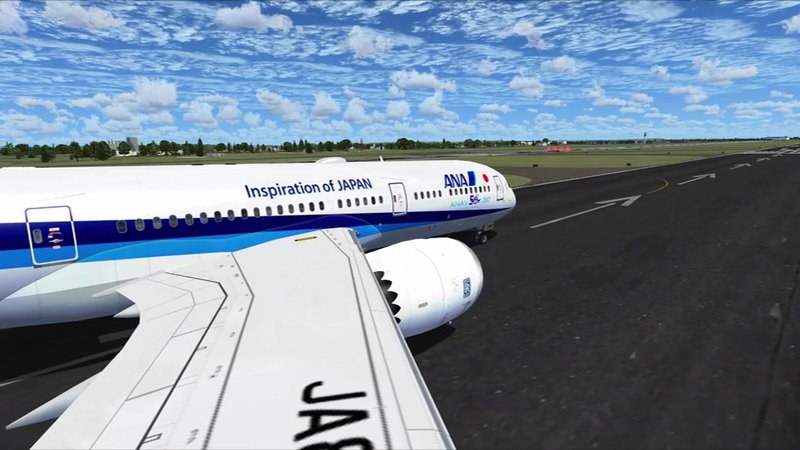 FS2004/FSX/P3D ANA Boeing 787-9, registration JA882A, "ANA 50th 787". Tenkuu Developers Studio (TDS) B787-9 model features high resolution textures, dynamic flexing wings, body gear steering, nose gear steering, rudder lock, ground spoilers, low speed aileron locks at high speed, fully animated control surfaces, fully independent suspension, trim animation, opening passenger doors, animated tilting bogies, rolling wheels, animated thrust reversers with reverser block doors, detailed textures, full night lighting, ground service vehicles and more. Model design by Hiroshi Igami/Yosuke Ube. Flight dynamics design by Nick Wilkinson. Master textures by Yosuke Ube. By Carlos Eduardo Salas. The archive tds_boeing_787-9_ana50th_ja882a.zip has 185 files and directories contained within it. Hi I downloaded this but I don't have sound or a VC. could you please help?